Many on the both the left and the right criticized Beto O’Rourke’s campaign announcement, during which his wife, Amy sat silently throughout the entire video. On the campaign trail, O’Rourke also made a strange comment, possibly a joke, about his wife raising their children “sometimes with my help.” He apologized for this comment. O’Rourke, who’s real name is Robert Francis O’Rourke, has also been talking about his “white privilege” on the campaign trail. 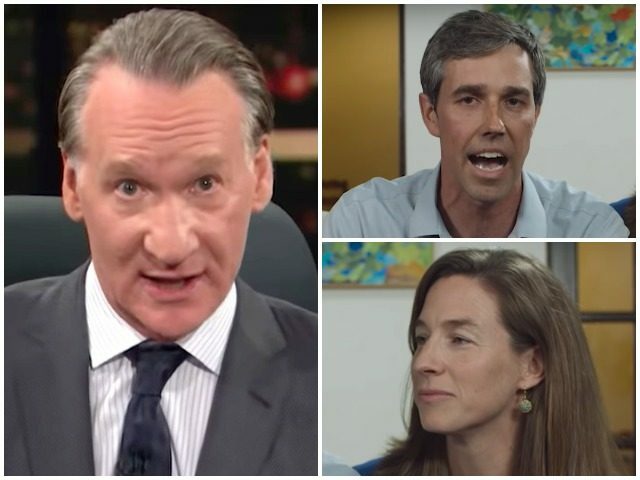 Bill Maher recently gave O’Rourke glowing praise, saying in a social media post that Democrats could “do a lot worse” than putting him on the 2020 ticket. When not praising Democrats, the Real Time host can be found complaining about how it’s “so hard” not to call Trump supporters stupid.